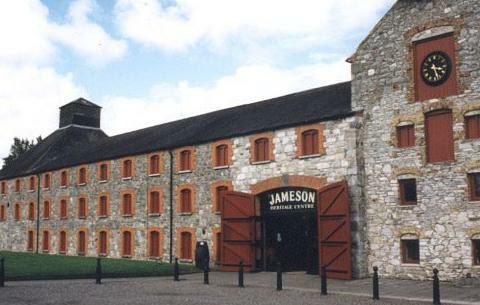 " The Cooper's Croze is part of Jamesons' The Whisky Maker series and has been selected by head cooper Ger Buckley to highlight the role wood plays in whiskey maturation. Using a combination of virgin oak, bourbon barrels and sherry casks, this has notes of vanilla, rich fruit and spice." " Vintage Reserve contains some of the rarest whiskeys available from Midleton, and one of the component pot stills whiskeys has been matured in port pipes. The oldest element of Vintage Reserve is the grain, some of which is up to 25 years old, and all of the Bourbon casks used are second-fill.
" 3 bottle Gift pack of 200ml - containing Jameson 80prf, Jameson Black and Jameson caskmate. We blend our remarkable pot still whiskey with a delicate grain whiskey, allowing them to mature and inherit the nuttiness of our sherry casks balanced with the fragrant vanilla of our bourbon casks. "Awesome blend with a high proportion of pure potstill - this is sumptuous. "If you don't enjoy this, then you just don't get what Irish whiskey is all about. 94 points" Jim Murray's Whisky Bible 2008. This dram has a amber-like color. Nose: more than average. honey, wood, floral, spices, citrus.